Artemy is a beautiful motor yacht built by Azimut in 2008, meticulously maintained and refitted in 2018. She can sleep up to 12 guests in her 6 luxurious cabins 5 with ensuite facilities; the Master Cabin, one double Cabin on main deck forward area (no ensuite facilities – day-head is next to the cabin), two double Cabins and two Twin Cabins (both with Pullman beds). Artemy offers a vast variety of water toys to make your charter a unique experience. 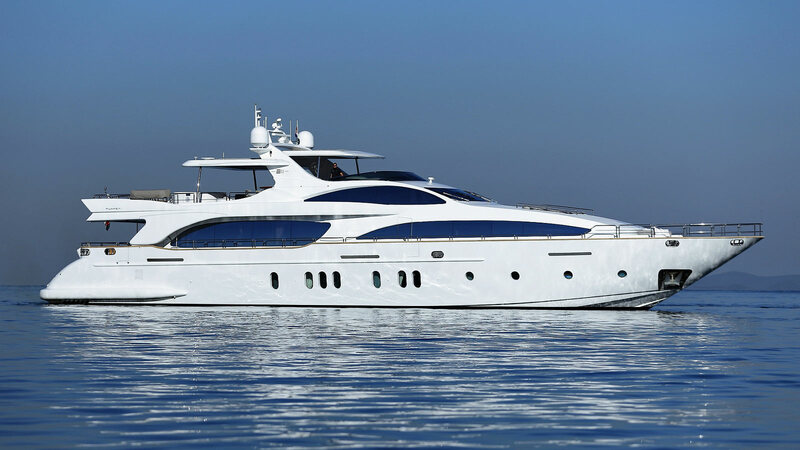 She comes with all custom options including a full beam master deluxe stateroom and the most spacious fly bridge on a 35 meter yacht.